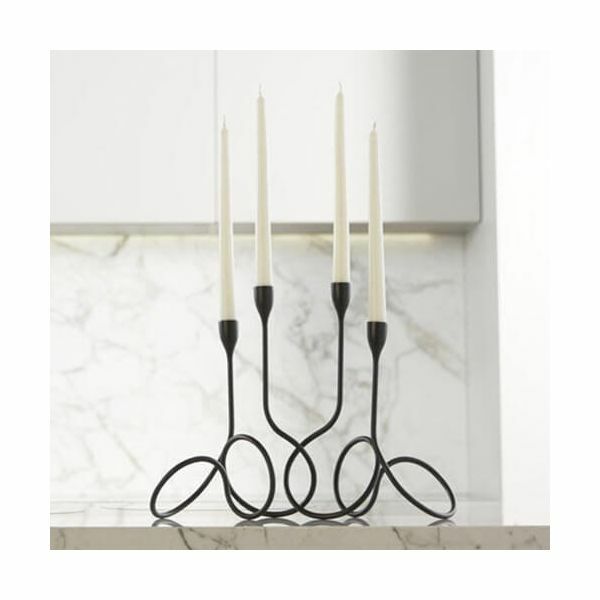 This black enamelled candelabra is elegant with a modern design. 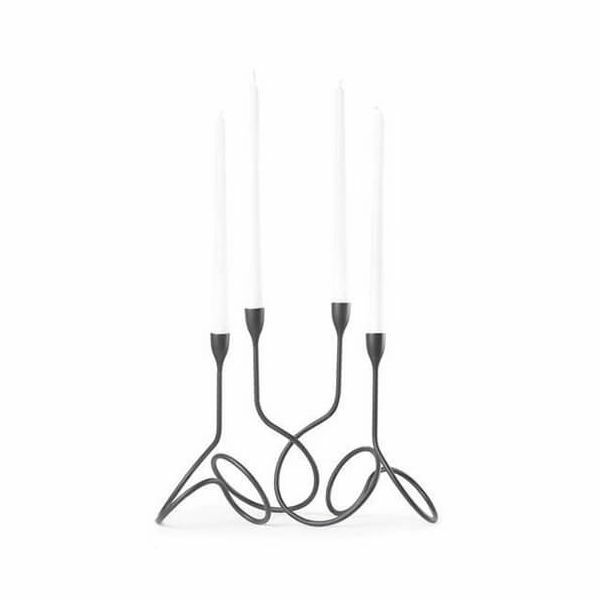 This single candelabra holds 2 candles and can be used individually or entwined with other loop candelabras in this range. 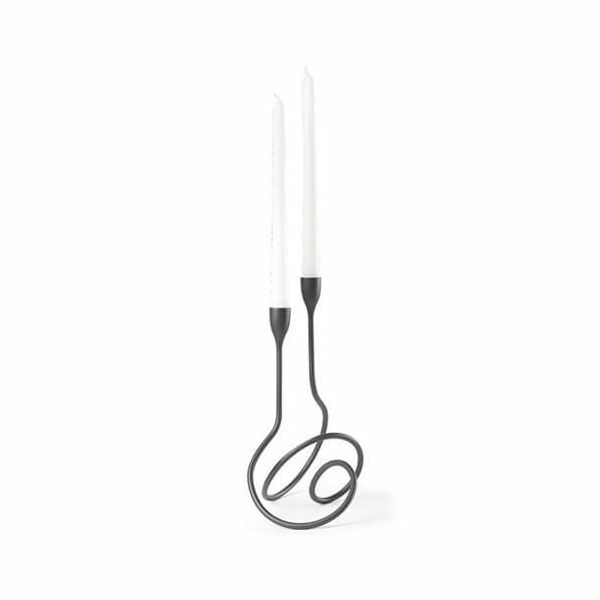 The thick 7mm wire is strong and durable and is weighted enough for holding a pair of candles. Inspired by the Fibonacci curve seen throughout nature in an ever changing design at every angle.